BT tweets a photo of his modded Sequential Circuits Prophet 600 synth, which was built in 1983. He writes "Behold the beauty of a firmware modified, re-contacted Prophet 600. Best part signed 'Assembled by Randy 1983' #Epic" (posted by BT on 13 Jan 2015). At the 3:07 mark of "Carl Craig – Modular Pursuits", this synthesizer is seen just to the right of the Prophet 5 in the lower-right hand corner of the shot. This Electronic Musician article states that Murphy owns a Prophet 600. "It's mostly Eurorack, but I have a classic Moog Voyager and a Synthesisers.com set up that emulates the old Moog 5U modular system. Then I have things like the TTSH (Two Thousand Six Hundred), which is an ARP 2600 replica, an original Roland System 100M - I love the way that thing sounds, a Roland Juno-106, a Juno-160 and a couple of Prophet 600s. I also have a Buchla set up, and a Swarmatron, which I use a fair amount as well, so I can kind of do anything I want." 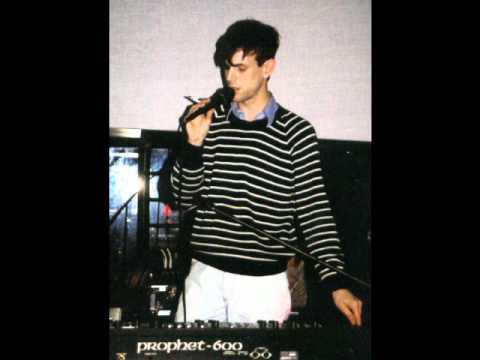 This image of Sean clearly shows a Prophet 600. We can see the Sequential Circuits Prophet 600 next to Alex . Doesn't have the more complex modulation options as the Prophet V, but still has that classic analog strings sound.